Ginebra San Miguel will go against the Asean Basketball League's San Miguel Beermen Team in a Tune-Up game tomorrow, Friday, January 18, 2013 at the Ronac Gym. The Tune-Up game will start at around 1 p.m..
GSM will face a formidable team led by a strong import Brian Williams and former PBA Players Asi Taulava and Eric Menk. 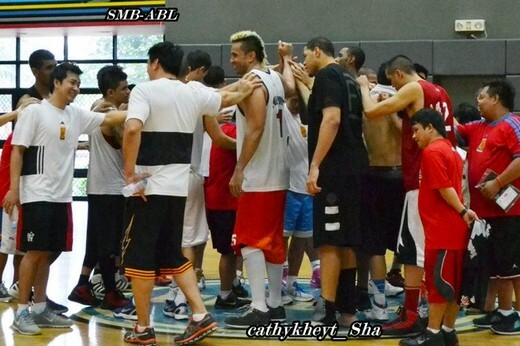 This is part of their preparation for the upcoming PBA Season 38 Commissioner’s Cup which will start on February 8, 2013. The fans of Ginebra San Miguel will also have the opportunity to see how Herbert Hill plays basketball. Some say he's not a good freethrow shooter. We'll see if that is true.